Do you remember when that little “ding” and the automated voice saying, “You’ve got mail!” had you dashing to your computer to see what new messages you had received? 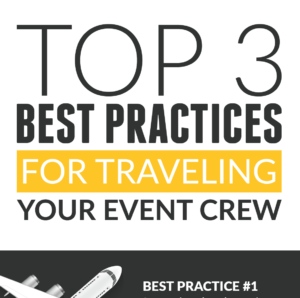 Most event executives would agree – business continuity is incredibly important. 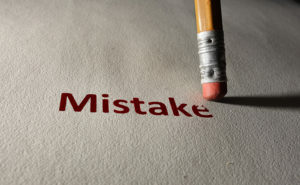 Many have experienced the confusion and disorder that can be brought from things like human error, employee turnover, and technology malfunctions. Unfortunately, if you are at the mercy of email inboxes for organizing, scheduling, traveling, and managing an event then you do not have in place the appropriate measures to ensure business continuity. So ask yourself, if someone leaves the business suddenly, does all of their work and knowledge go with them? That’s just one reason why managing your event company through email inboxes is risky business. Truth be told, email threads are clunky and can be especially inconvenient when you are trying to quickly access important event or crew information. If you have to spend valuable time sifting through emails in order to find that one person’s availability or nugget of time-sensitive information, then that is a significant issue for your business. 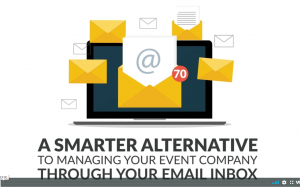 Not only are endless email threads cumbersome, they also make it practically impossible to quickly and easily understand the master plan including event status, budgets, costs, travel, and much more. When tasks, conversations, and information are scattered between email inboxes and spreadsheets, different people become the sole owners of their individual part of the big picture. This makes it incredibly challenging for a team to work together on a project. 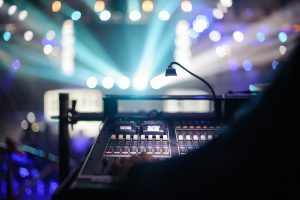 A central place for collaboration keeps everyone on the same page, streamlines processes, and makes accessing up-to-date event details much easier. 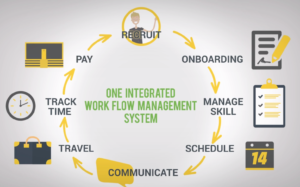 Who can stay in sync when you don’t know if you have the latest information, availability, or spreadsheet? 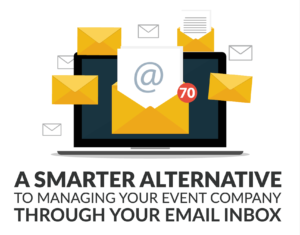 When running events through an email inbox, it’s impossible to access the right data – in real-time – to make the right business decisions. It’s also incredibly difficult to be able to see the progress of every event at any point in time. 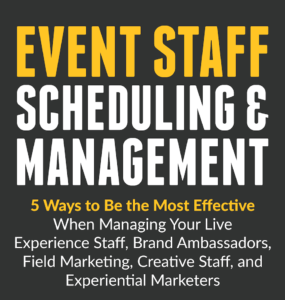 If you are relying on email to manage your events, you are only making your life more difficult. 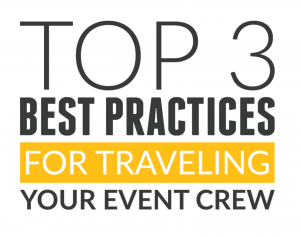 So, what’s the right way to organize, manage, and communicate with your crew? 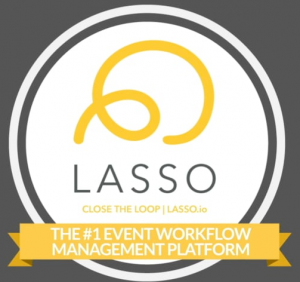 It’s time for you to gain more confidence in your workflow with LASSO. 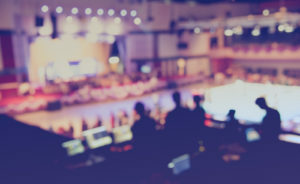 Check out our customer success stories here and see why event companies have chosen a better way to manage their process. Don’t just take our word for it – be sure to schedule a demo to see for yourself. See you there!